After updating all High end Moto Devices to Marshmallow , Motorola is finally going to start Soak test for Moto G 3rd generation and Moto G Turbo In India and Brazil . 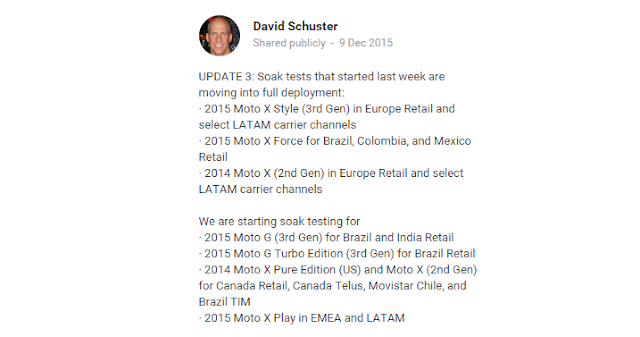 David Schuster finally updated his post describing Marshmallow Soak test news for Moto G 3rd Gen and Moto G Turbo. 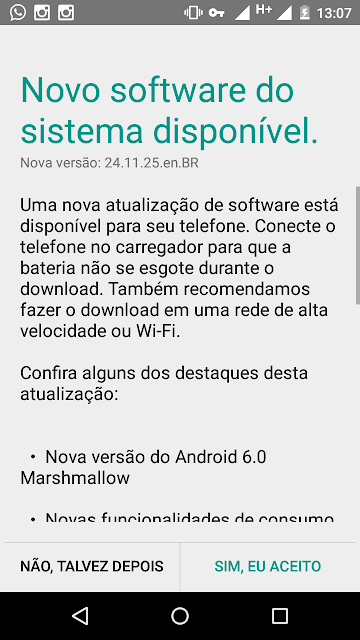 Even Some people who were registered to Motorola Feedback Network ( MFN ) has started getting Marshmallow Soak test update . If you have also got the update , You can comment below with a Screenshot !